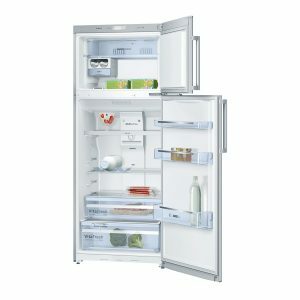 Bosch brings many of the benefits of larger fridges into a smaller, more efficient package with their 454L stainless-steel bottom-mount fridge freezer. Its multi-airflow system keeps your food fresher for longer, and a smart NoFrost frost-free feature while it’s ample storage bins and compartments ensure you have plenty of room to organize your groceries. Its attractive fingerprint-proof platinum finish also fits comfortably into any kitchen. I bought a few weeks ago and absolutely love it. Itâ€™s a simple, no fuss fridge that has plenty of storage. The draws have quite a bit of depth and hold a far bit. I have had this for just over a month now and find that it is very quiet, good looking and quite with it. I would have liked to have had more door stowage instead of the two large stowage compartments at the bottom of the fridge, but for a family, the whole item is fine. 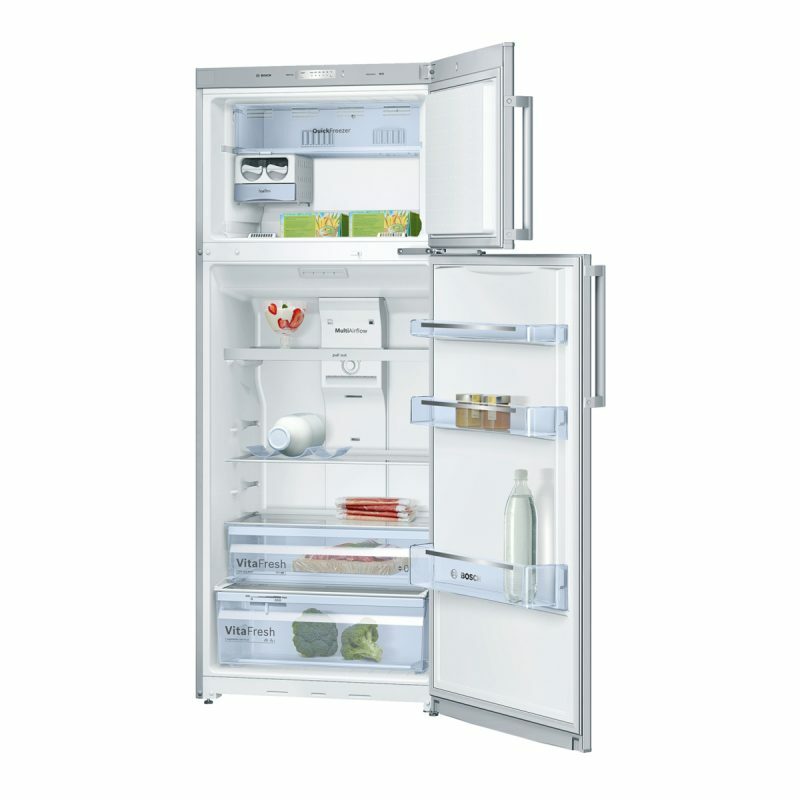 I am very happy with the Bosch fridge, it is the 2nd I have purchased and couldnâ€™t be happier. 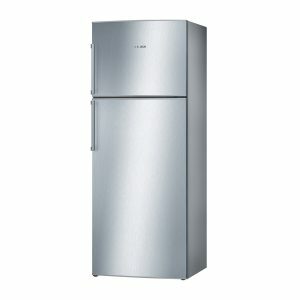 I bought the Bosch fridge to match my other Bosch appliances. It is so reliable and functional; so much space. I love it! Performance & light power is good. Minor things to improve are : if the door is opened for few minutes, alarm is not coming. sometimes, noise is coming for few minutes. Overall it is good.